Security hawks, the media's foreign policy experts and the political class had a field day after July's Indo-Pakistani joint statement. Particularly for the BJP, whose astute leader Atal Bihari Vajpayee once took the boldest of steps to liberate India from its Pakistan obsession, nationalism seems confined to overtly displaying our superiority over a smaller neighbour, one fighting with its back to the wall against destabilising forces. Good foreign policy, however, has to be more nuanced so that our long-term national interests are served. To better appreciate complex diplomatic endeavours, we must start by taking note of some facts. First, India accounts for about 80 per cent of South Asian GDP. Being so dominant, it has to bear an asymmetric responsibility for achieving stability, peace and prosperity in South Asia. This must be the bedrock of our neighbourhood policy. Second, we cannot choose our neighbours and should work with whoever we can to help Pakistan defeat the jihadis. Otherwise, there will be negative outcomes for our own experiment at building a pluralistic, multi-ethnic and democratic society. Third, the strategic balance between the two countries must surely rule out any ideas of a decisive military victory. That road leads only to mutually assured destruction. We may well have to bite the bullet one day, but it is best avoided. Fourth, there is not one monolithic Pakistan we can engage with. A choice must be made. There is the Pakistan of the armed forces which treats the country and its people as a fiefdom to be exploited for personal benefit. There is another Pakistan toiling in poverty, deprivation and backwardness for which succour from daily injustices is welcome from any quarter. Fundamentalists, meanwhile, see themselves as guardians of the Pakistani state and true representatives of the Islamic republic. They see victory within their grasp because they have duped the army into believing that it can calibrate the growth of jihadism. There is also the Pakistan of the rising middle class which wants modernisation but equates it with neither westernisation nor Islamisation. They are as horrified as we are at a video showing Taliban goons caning a woman and yet like us do not want to succumb entirely to the Coca-Cola culture. 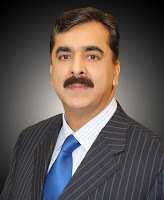 The sufi and pir traditions to which prime minister Yousuf Raza Gilani and brave journalists, judges and lawyers belong are also part of this Pakistan. The small, almost inconsequential section of westernised, 'liberated' men and women is yet another Pakistan. There is also the Pakistan of the Mohajirs who see themselves as increasingly marginalised and resent that. Finally, there is the Pakistan whose political leaders represent growing popular aspirations for freedom and rule of law. India must choose which Pakistan it wants to support, and which it wants to isolate and hopefully defeat over time. Clearly, we must work to erode the credibility and legitimacy of Pakistan's armed forces establishment whose very reason to be is its festering animosity towards India. Islamic fundamentalists are the second group to be opposed. It is not mere coincidence the two are aligned in vicious opposition to India and subvert by coordinated, violent means any move to improve bilateral relations. Pakistan-bashing, on which some sections of India's political spectrum and media thrive, strengthens the hands of these two groups. Nothing serves their purpose better than a bellicose India flexing muscles and vocal chords against Pakistan which they claim to represent. The reaction to Sharm el-Sheikh must have been music to their ears. The Pakistan to be supported is today most effectively represented by Gilani. He comes from a sufi family, is a thorough professional with well-established credentials for integrity. He is seen as distinct from his president who comes from a completely different background and perhaps with his own agenda. Gilani represents the aspirations, weaknesses and strengths of the Pakistani middle class which desires better and open relations with its counterparts across the Wagah border. Sharm el-Sheikh was manifestly designed to support him and prevent him from relying completely on Rawalpindi, the jihadis or Asif Zardari for his political survival. India must continue to make bold attempts to improve ties and strengthen Pakistan's elected leadership to give it the wherewithal to begin confronting religious fundamentalists and resisting the armed forces establishment, the two worst enemies of the Pakistani people. At Sharm el-Sheikh, India gave away nothing in real terms. It only provided Gilani an opportunity to claim a breakthrough with his own hawks. If the strategy works, we would have an interlocutor with credibility and some capacity to resist the two groups most inimical to our interests. What possible end can be served if Indo-Pak relations remain stalemated? Those who criticise initiatives to engage Pakistan should then suggest a more effective means of improving ties and collaborating with it to fight jihadi terrorists who, as agreed by the two countries earlier, are a menace for both.